Lombok Tours Packages - Lombok island in the Nusa Tenggara Islands is one of the very popular destination in Indonesia. This place has amazing magnetism, both on land and underwater life and always crowded with local tourists and foreign tourists who liburanke Indonesia. If you want to travel to Indonesia, enjoy a package-tour pakat Lombok is an option that should be entered in the list of your vacation plans. Current transportation access for the holidays to Lombok is very easy. There have been many flights and cruise towards this place. You can enjoy a special holiday in lombok with family, friends, community group offices, even the honeymoon with a partner. But, before you select lombok tour packages, see tips on traveling to Lombok here click: How to get to Lombok? Many exciting vacation aktiftas you can select on the island of Lombok. Do you like adventure?. Try to climb the Summit of Mount Rinjani. 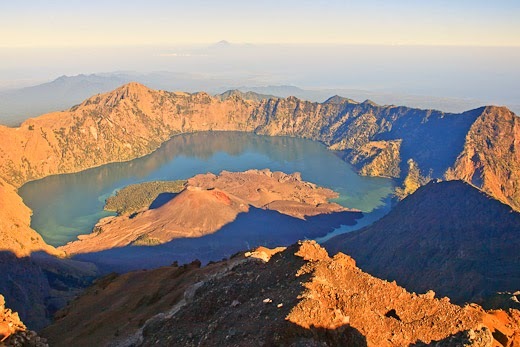 Mount Rinjani Summit will make your adventure very impressed. In addition to mountains, tours on Lombok you can also dance with people's traditional Lombok in the village of Sade. This is one of the traditional village (village tourism) that is still original in Lombok. Houses were built of bamboo and leaves the roof of reeds. Up to now the villagers Sade still strict customs and traditions of his. While Gili Trawangan is one of three small islands (3 Gili) famous in Lombok. Gili Air, Gili Meno and Gili Trawangan in Lombok, is the magnet that always make amazed by foreign tourists stay longer for holidays on lombok. Besides the exotic beaches in lombok is also not to be missed. Enjoy your vacation with a swim at the beach, walk down the shoreline, diving, or even surfing. The choice of your vacation tours, activities and spectacular natural beauty in Lombokakan meet your holiday expectations. Before returning home, don't miss the lombok shopping vacation package gift shop, souvenirs, and pearls lombok's famous specialities. 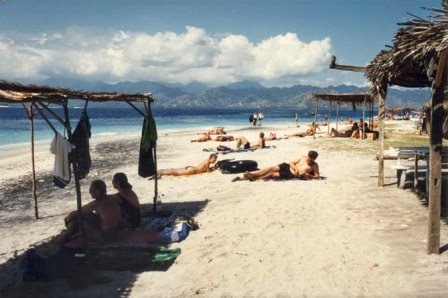 A number of popular beaches in Lombok's Senggigi Beach, among others, the beach and the beach of Gili Trawangan Tuta. Senggigi Beach famous for its clarity of water and white sand. Tourists usually to Senggigi for diving, snorkeling and canoeing. Life on the beach is never dead, even though the night still sounding music that came out of the cafes and restaurants-restoyang was there. As a popular and attractive destinations for holidays in Indonesia, Lombok has a variety of hotel options which you can choose according to your wishes. You can just order a cheap lodging, homestays, luxurious villas or luxury hotels and is very popular in Lombok. Vila ombak is located in Gili Trawangan. It offers a beautiful garden Villa, tastefully furnished and very comfortable. The white sand beach is very beautiful view You will meet during the holidays at Vila Ombak. Hotel Villas Senggingi & Sudamala Suites is a luxury hotel with full facilities. You can see the sunset, and swim in the pool, the staff are friendly, service is also a restaurant, a spa, and certainly a fun room. Hotel The Lombok Lodge is located in Oberoi, the village of Medana, Tanjung, Lombok, have views of beautiful beaches. The Hotel has spa facilities good, beachfront restaurant, bar, airport shuttle service, and a library. The rooms of hotel The Lombok Lodge is very luxurious. 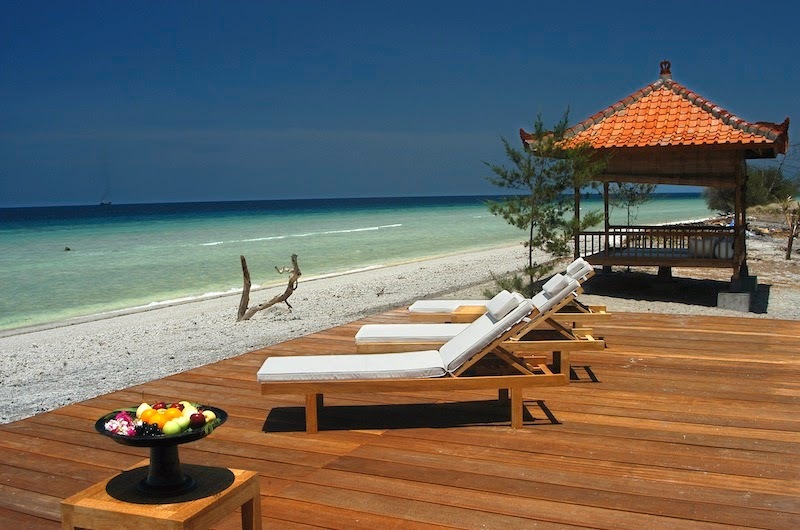 Hotel The Oberoi Lombok-Medana Beach is located near the Cape, the Northern Lonbok. Facilities on offer at this very fancy hotel, complete with various amenities such as swimming pools, tennis courts, cafes and restaurants which is very tasty, and a steam room. Transportation in lombok Island quite unique. You can try the traditional means of transportation such as lombok, Bemo and Cidomo. Cidomo is short for Cikar Gig and the Motor. Cidomo is drawn using the horsepower. Some of the traditional tourist attractions are still using such a cidomo on Senggigi beach. Bemo on Lombok is used to refer to the city that serves the transit passengers to several destinations including Ampenan, Cakranegara, Mataram and Senggigi. Besides cidomo and bemo, you can also try riding motorcycle taxis. You could be traveling to lombok every moment to seek tranquility and peace. But the months may to September is the best time to come to Lombok, because nice weather during these months. The weather is quite warm and moderate rainfall. The best way to tour in lombok is by ordering the various lombok holiday package. Lombok tour packages by ordering You do not need to spend a lot of time and energy to make a list of interesting destinations to visit. You're not dizzy to book hotels, transport, guided tours for your holiday activities. Look lombok tour packages from providing the best Indonesia tours you can choose according to Your vacation interests and budged. Enjoy a private trip on the island of lombok, with special services for foreign tourists.